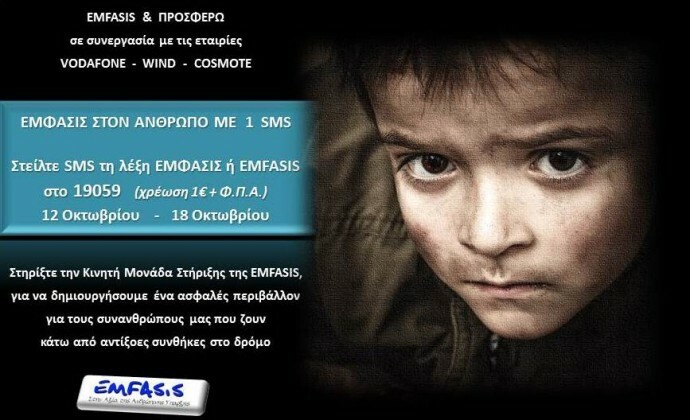 Emfasis activated the “PROSFERO” service in cooperation with VODAFONE, COSMOTE and WIND. The proceeds were donated to Emfasis, specifically for the critical equipment of our Mobile Support Unit. Thanks to everyone’s contribution, there will be additional provisions and survival items , in view of the upcoming winter and the extreme weather conditions to be faced by our fellow homeless citizens, as well as those who find themselves in a ‘transit situation’ in our country.